Marilyn Cole’s oboe solo in the second [movement] was pure liquid crystal. Marilyn Cole began her study of the oboe at age eleven in Billings Montana. Her first taste of a professional orchestra came when she performed with the Billings Symphony Orchestra at the age of 18. While in Montana, she performed regularly with the Missoula Symphony Orchestra, Glacier Symphony Orchestra and various chamber ensembles. Ms. Cole also had the privilege of studying with Eric Ohlsson, Paige Morgan and John Mack during her summers at Brevard Music Center. 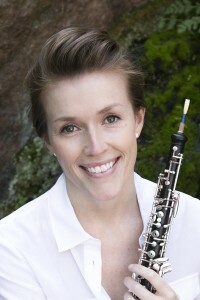 After receiving a bachelor’s degree in oboe performance from the University of Montana where she studied with Roger McDonald, Ms. Cole went on to make use of her second degree in music education by teaching primary music at the Frankfurt International School in Frankfurt, Germany as well as middle school and high school band in Seattle, Washington. 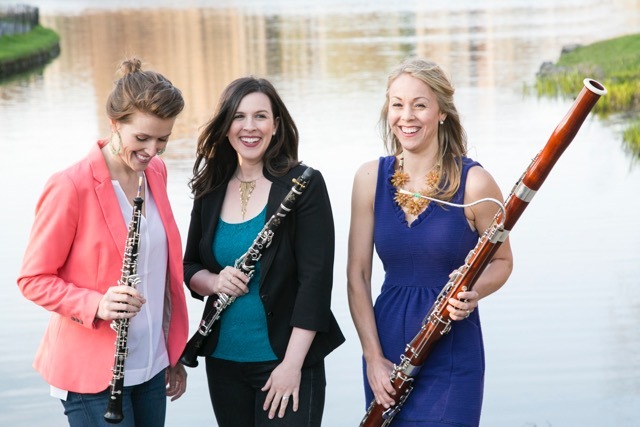 Ms. Cole continued her eduction under Richard Killmer at the Eastman School of Music where she earned a master’s degree in oboe performance and literature. While in school she also performed with the Cayuga Chamber Orchestra, the Tri-Cities Opera Company, the Binghamton Philharmonic and Erie Philharmonic. Since moving to New York, Ms. Cole has performed with numerous groups including One World Symphony, Greenwich Symphony Orchestra, Garden State Philharmonic, Richmond County Orchestra, Willow Ensemble, Metro Chamber Orchestra, New York Kammermusiker, Chelsea Symphony and the Ambitious Orchestra. Ms. Cole is the oboe and English horn player for the Broadway show Natasha, Pierre and the Great Comet of 1812. She has also been heard performing with Wicked, Les Misérables, Charlie and the Chocolate Factory and Carousel on Broadway. Ms. Cole is involved with the coaching and creative process of the series, Mozart in the Jungle. She works closely with the actors, directors and writers and her recordings can also be heard on selected episodes. Special mention must be made of English hornist Marilyn Cole, who played the achingly beautiful, hymn-like melody in the Adagio section of the Dvorak.